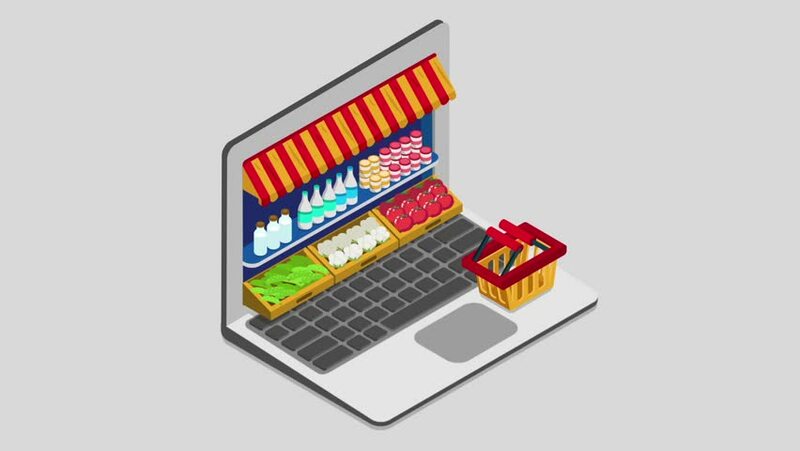 Laptop buy online grocery shopping e-commerce store flat 3d isometric animated concept electronic business sales. Shop cart market showcase product shelving shelf laptop screen reveal animation. hd00:20Shopping Basket with Digital Tablet. Alpha mask included. hd00:10Many buildings atop isometric smartphone.